Spelling Notebook Learn your spelling words. Create a personalized list of words to practice. Test your spelling - hear each word spoken. Get a star for each correct word. Practice just the words you have yet to master. Retest your words at anytime. Students can practice their words independently. Originally designed to be a replacement for a student's spelling notebook which lists words to be learnt for school each week. Unlike a paper notebook, Spelling Notebook can speak each of the words to enable testing and practice without seeing the written word. 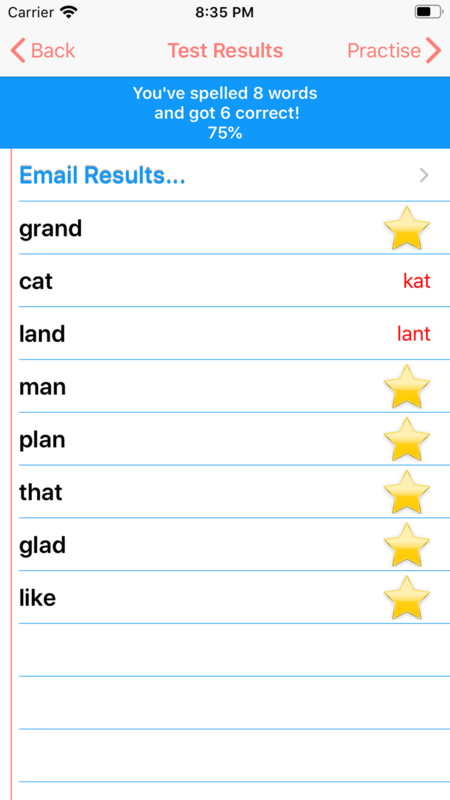 SpellingNotebook contains a full searchable spelling dictionary so that words can be added directly to the student's word list, minimizing entry errors. Optionally Record your own voice for the word you want to practice. 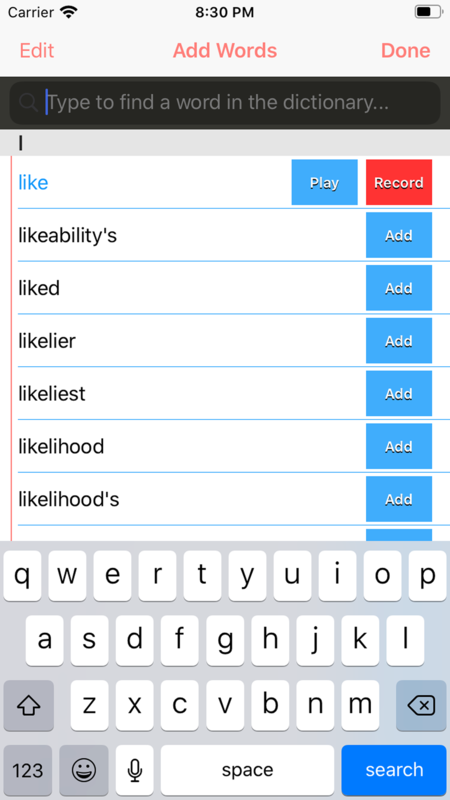 You can record just the word, or even a whole phrase to help you recognize which word to spell. The built-in English spelling dictionary is automatically selected by region: US, UK, AU, CA, NZ. 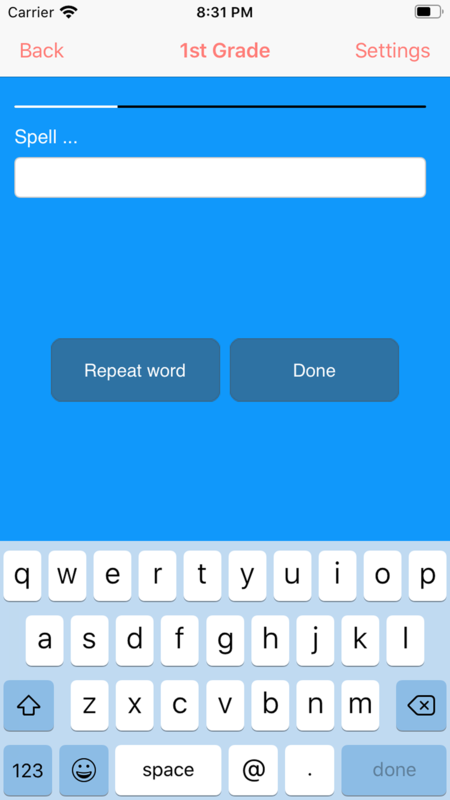 Create a wordlist, test and practice your words. 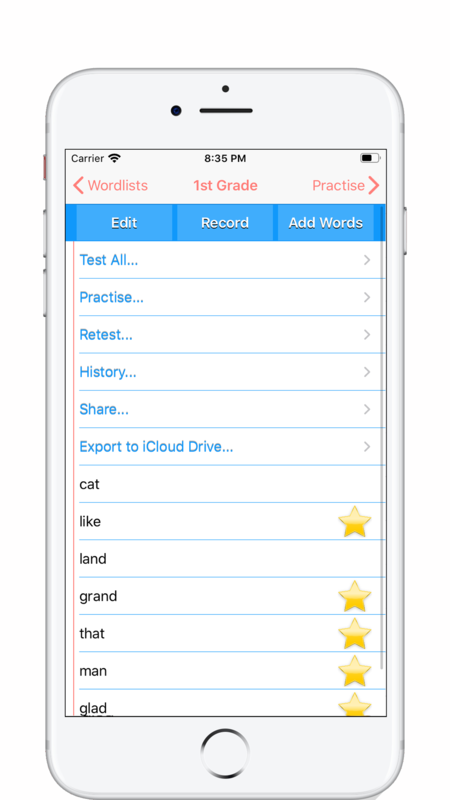 Add, edit and delete Wordlists. 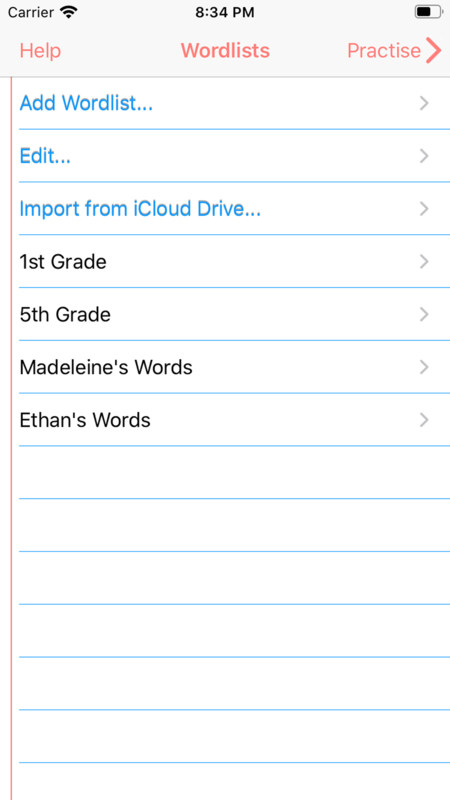 Export/Import with iCloud Drive. 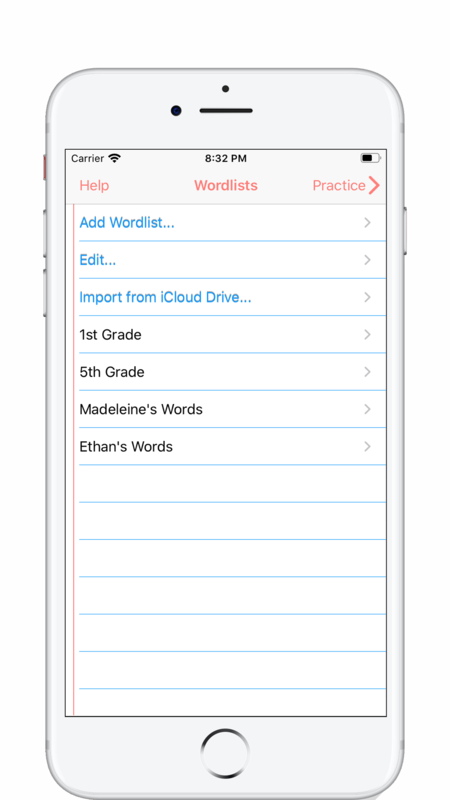 Share your Wordlist with AirDrop, Email, etc. After your first test, laser focus on the words that need practice. See your past results and progress. Change practice settings to suit your needs. It’s good for little ones and big ones to! 😀😀😀.